Notes: Also known as Rock Crystal. The ancient Romans thought Quartz crystals were made from ice that was so frozen it would never thaw or melt. Wanna’ Get Science-y? Click Here to get information about the chemical composition, hardness, streak, etc. of this crystal from one of my favorite sites! Quartz is a common and abundant mineral that comes in a variety of colors and forms. The stone we usually call quartz is clear rock crystal. This is quartz without visible impurities, which naturally forms into a brilliant six-sided prism, coming to a point at the end. It’s an oxide of silicon, and therefore a semiconductor. People have been drawn to quartz for literally millennia, using it for tools, jewelry, containers and works of art. Metaphysical references from the Romans and earlier identified quartz as permanently frozen ice. It is composed of SiO2. In its purest form, silicon dioxide is clear quartz, also called rock crystal. But when this mineral contains trace elements of other minerals, or when the Earth’s inner forces have changed its form, we see a huge variety in appearance. When quartz is completely pure, it is either clear, white, or a combination of both. White, or “milky” quartz, is simply clear quartz that contains tiny gas bubbles. The more colorful varieties of quartz come from small particles of metallic elements that became trapped in the quartz as it hardened. Some are natural, some artificial. Metaphysical uses: Clear quartz naturally amplifies energy. It wants to clean and purify everything in its path, including all the body’s chakras, as well as other items in the physical and spiritual worlds. One of the best ways to experience the power of a quartz crystal in everyday life is to use it to help amplify personal intentions — decide what you want, and use your crystal to magnify your intention until it manifests. (As always, do this in such a way that your intention remains focused on the greatest good, not simply short-term desires.) Quartz wands are especially powerful when used this way. Clear quartz also has excellent spiritual qualities. Clear quartz is great for directing and focusing energy. Depending on how you plan to use your crystals, you could start with either a single quartz wand or a handful of small quartz points. It's time to start harnessing the abundant and powerful healing properties of clear quartz. This amazing stone can help to bring mental clarity, enhance your connection with the world around you, and amplify your intuition and inner vision. Thank you dear Ashley for this podcast.I ve been working whith cristals for a long time.thei always teaches me somethig else.there are a miracle and a blessing. We are so happy that you’re enjoying the podcast, Vulcu! <3 Crystal blessings! So wonderful, Patricia! Thank you so much for reading. It is easy to overlook clear quartz but they’re just endlessly wonderful <3 Crystal blessings! 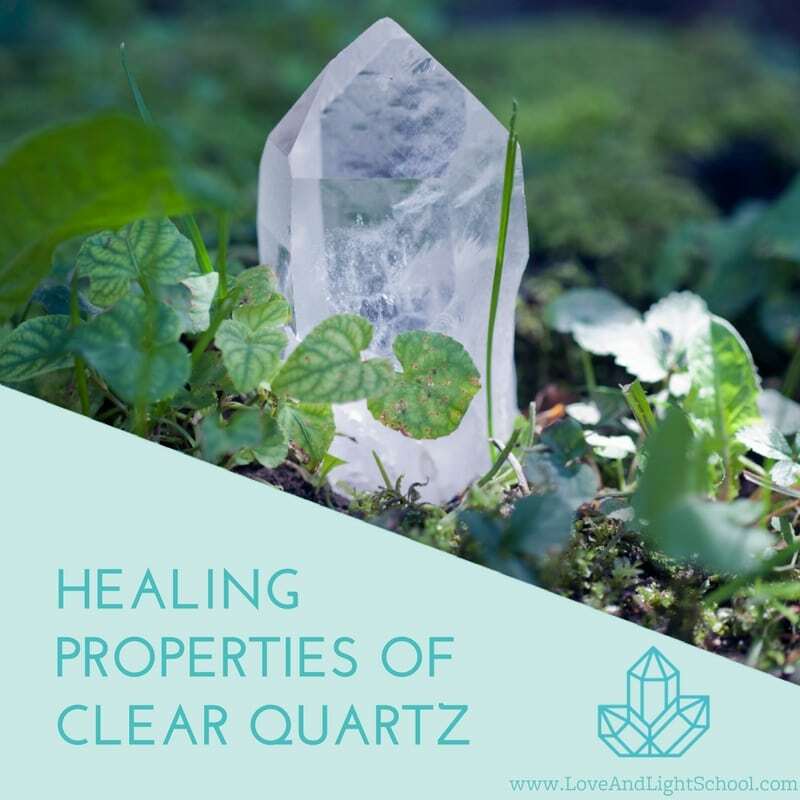 Thank you for sharing your knowledge about Clear Quartz-this is a crystal I rarely work with and this post has inspired me to work with this crystal for healing, cleaning, programming and protection. So glad to hear that, Alakee! We hope you have a beautiful experience with clear quartz <3 Let us know how it goes! Is there any reason why Clear Quartz wouldn’t be linked to the earth element?